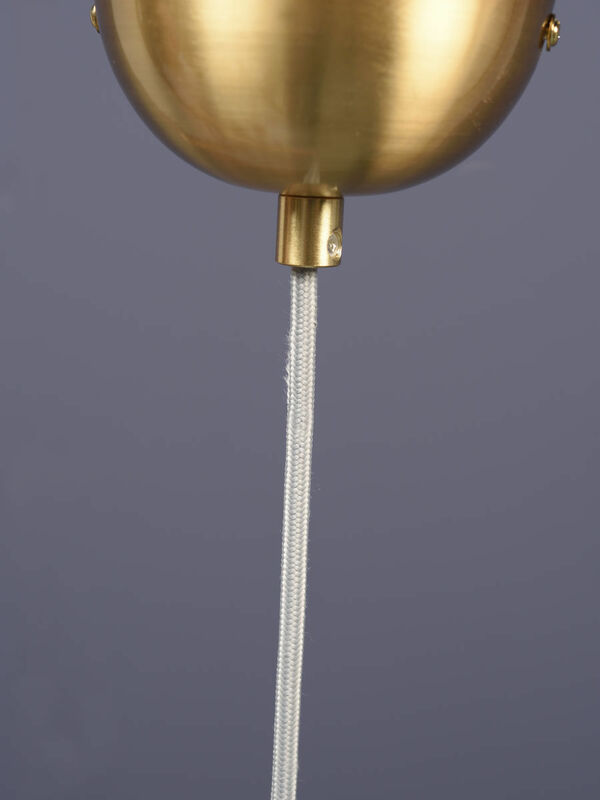 Dimensions : Ø 13 x H 30 cm - Ceiling rose: Ø 10 x H 5 cm - Cable: L 250 cm max. 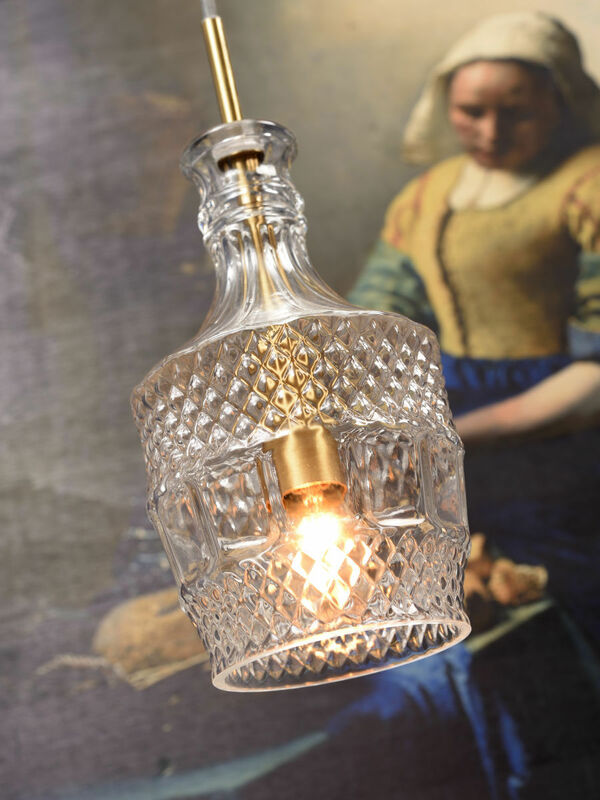 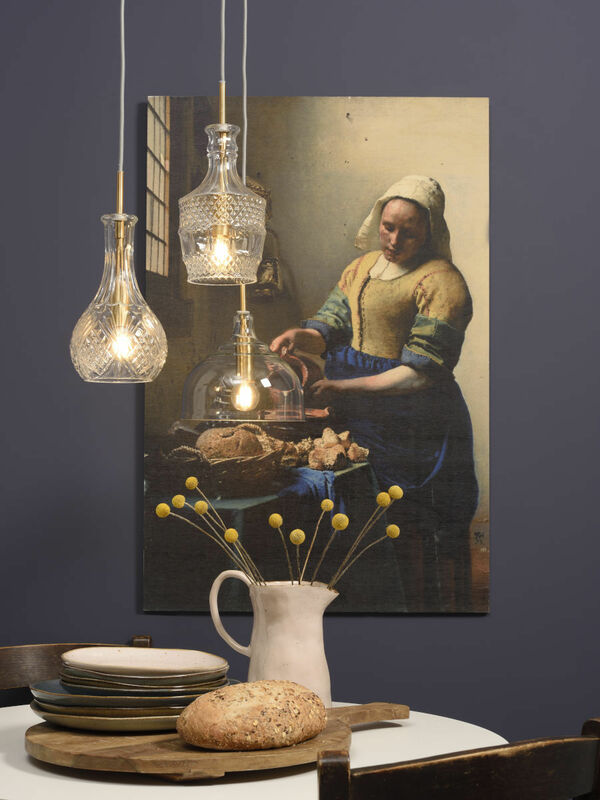 A deliciously retro feel for this pendant which takes its inspiration from the old carafes in chiselled crystal. 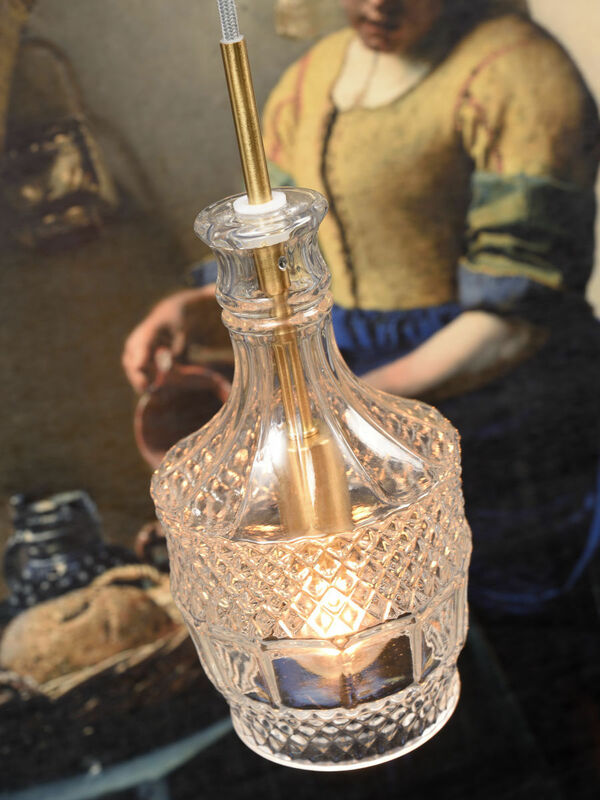 An invitation to romanticism and finesse, this glass lampshade is finely engraved with geometric relief patterns. 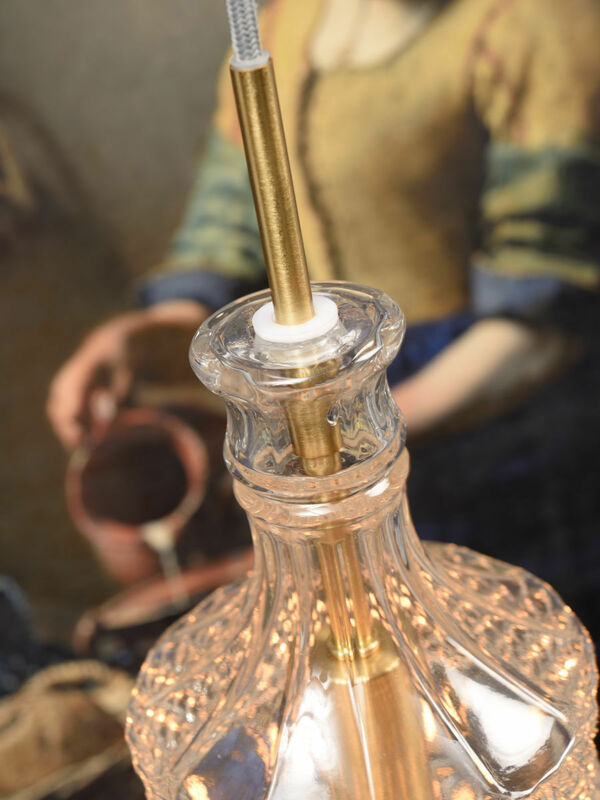 The lampshade rests on an elegant structure in gilded metal. 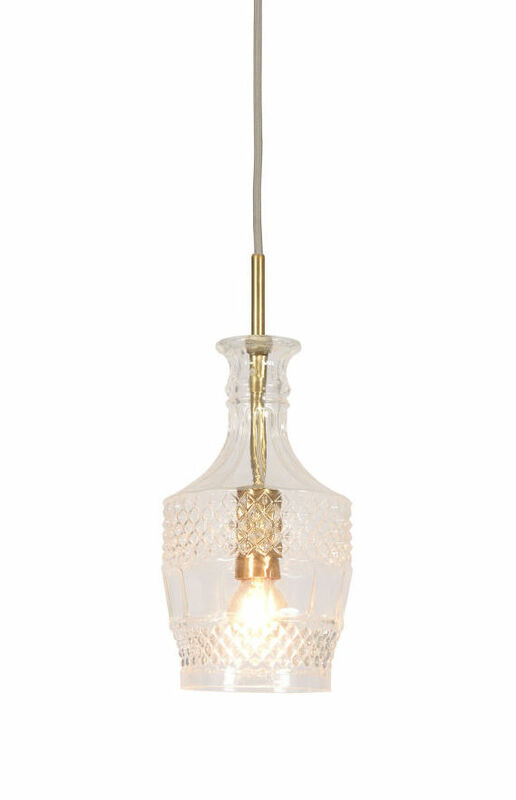 Its stylish details: the grey fabric cable and ceiling rose, also in gilded metal. 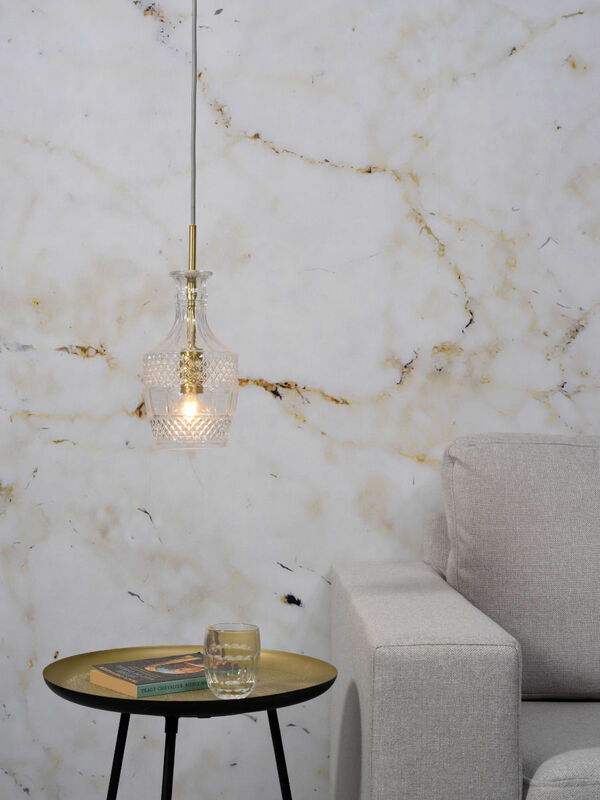 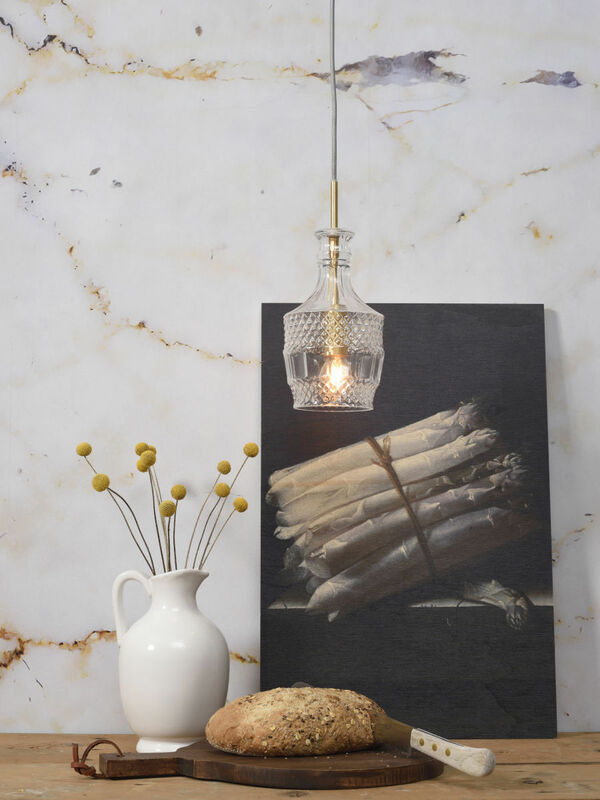 The choice of quality materials and elaborate shape of the lampshade give this pendant a sophisticated, timeless feel that will stand the test of time. 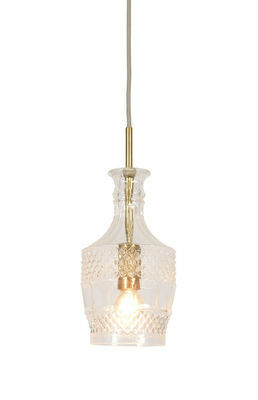 Like a beautiful mottled vintage piece, this lamp mixes with all styles of decor, classic and modern alike. 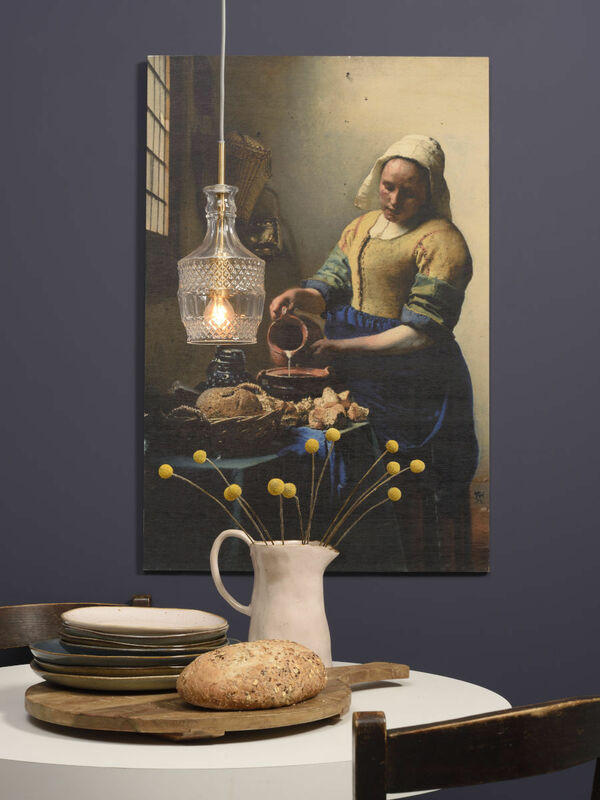 It will bring character and charm to your room.